Minneapolis/St. Paul, MN - The Minnesota Twins announced today that they will name Paul Molitor the 13th Manager in club history on Tuesday, agreeing to a three-year contract that covers the 2015-17 seasons.Molitor, 58, served as a Twins coach in 2014, overseeing: baserunning, bunting, infield instruction and positioning, as well as in-game strategy. Prior to 2014, he served as the Twins minor league baserunning/infield coordinator for 10 seasons (2003, 2005-13). He was the Seattle Mariners hitting coach in 2004 and Twins bench coach from 2000-01, giving him 14 years of major league and minor league coaching experience. The first ballot Hall of Famer was inducted into the National Baseball Hall of Fame in 2004 after 21 seasons in Major League Baseball. He played 2,683 career games for the Milwaukee Brewers, Toronto Blue Jays and Minnesota Twins, amassing 3,319 hits, 605 doubles, 114 triples, 234 home runs, 1,307 RBI, 1,782 runs scored, 1,094 walks and 504 stolen bases, while posting a .306 batting average. On Major League Baseball’s all-time list, he ranks ninth in hits, 11th in doubles, 19th in runs scored and 31st in games played. He is one of six players in baseball history to record over 3,000 hits and steal over 500 bases. He was named to seven all-star teams and earned four Louisville Slugger® Silver Slugger Awards. The St. Paul native was selected by the Milwaukee Brewers with the third overall pick in the 1977 First-Year Player Draft out of the University of Minnesota, where he played from 1975-77. He grew up in St. Paul and attended Cretin High School from 1971-74. 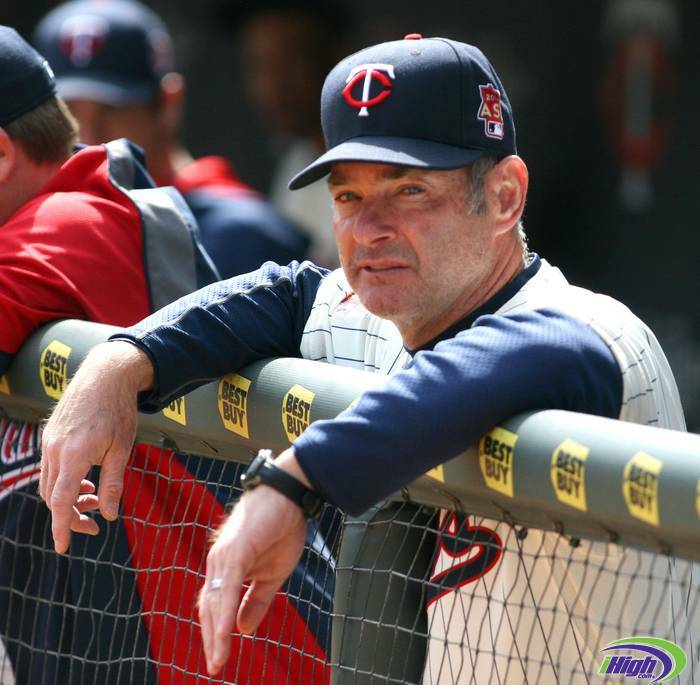 Molitor will become the 13th manager in Twins history and third since 1986. The Twins all-time managers are: Ron Gardenhire (2002-14, record of 1068-1039), Tom Kelly (1986-2001, record of 1,140-1,244), Ray Miller (1985-86, record of 109-130), Billy Gardner (1981-85, record of 268-353), Johnny Goryl (1980-81, record of 34-38), Gene Mauch (1976-80, record of 378-394), Frank Quilici (1972-75, record of 280-287), Bill Rigney (1970-72, record of 208-184), Billy Martin (1969, record of 97-65), Cal Ermer (1967-68, record of 145-129), Sam Mele (1961-67, record of 522-431) and Cookie Lavagetto (1961, record of 25-41). Rubio completed his third season in the NBA last year by averaging 9.5 points, 4.2 rebounds and a career-high 8.6 assists - good for fourth in the NBA and the top single-season figure by a Minnesota player since Terrell Brandon’s 8.9 apg average in 1999-2000. He tied the club single-game assist record by dishing out 17 helpers on Feb. 19, 2014 vs. Indiana. The 6-4 guard ranks 4th among all players with 59 double-digit assist games since the start of the 2011-12 season and his 1473 total assists since the 2011-12 season ranks fifth in the NBA. Rubio has registered three career triple-doubles, tying him with Kevin Love for second on the Wolves all-time list. Rubio registered a career-high and franchise-record 190 steals last season, including an NBA-high 10 games with 5+ steals. Rubio has finished second in steals per game in each of the last two seasons, including a single-season franchise record mark of 2.4 spg a season ago. His 421 steals since he entered the NBA are the second-most (Chris Paul, 478) over that span. The Barcelona, Spain native was selected with the 5th overall pick in the 2009 NBA Draft after playing professionally overseas since 2005. He signed with the Wolves prior to the 2011-12 season and finished runner-up for Rookie of the Year honors after averaging 10.6 points, 4.2 rebounds and 8.2 assists in 41 games. Eden Prairie, MN (October 30, 2014) - Vikings DE Everson Griffen has been named NFC Defensive Player of the Month following his performance in four games during the month of October.Griffen recorded an NFC-best 6.0 sacks in a four-game span during the month of October. He was the only player in the conference to record at least 1.0 sack in four games this month. Griffen also led all NFC defensive linemen with 20 total tackles (16 solo) in the month. Griffen recorded 3.0 sacks at Buffalo (10/19/14), tying a career best. In the game, he also forced his first fumble of the 2014 season and notched a season-best 8 tackles. His NFC-leading 8.0 sacks on the season tie his career high and rank third in the NFL and first among all defensive ends. He becomes the first Viking since Jared Allen (October, 2011) to win the award. MINNEAPOLIS - University of Minnesota head men’s basketball coach Richard Pitino announced today that junior guard Zach Lofton has been dismissed from the team, effective immediately, for failing to meet the expectations and obligations of the team. Lofton, who played his high school basketball at Columbia Hts will be able to remain at the University under scholarship for the duration of the 2014-15 academic year. The Gophers open the season officially on Friday, November 14, when they face Louisville in the ESPN Armed Forces Classic at Coast Guard Air Station Borinquen in Puerto Rico.